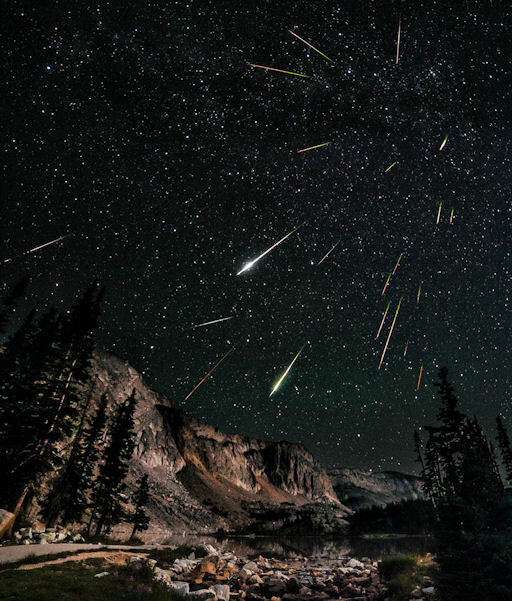 SPACE WEATHER NEWS http://www.spaceweather.com ~ Photo [above] taken by David Kingham during the Perseid peak at Snowy Range, Wyoming………..
BARRY ROFFMAN TORAH CODE RESEARCH http://www.arkcode.com ~ Received an email from Barry Roffman after recent cyber-attack on his website for torah code research. However, Barry has just completed a research project ‘before the act’ so to speak in the codes entitled: “27-August-2012″ Encoded Torah Date……………………Barry added if true as it seems to read: ‘Sunset August 26 to Sunset August 27 ~~~~ Time for war with Iran ?” Do remember this is a research project but the [above image] code words appear in the research data…! 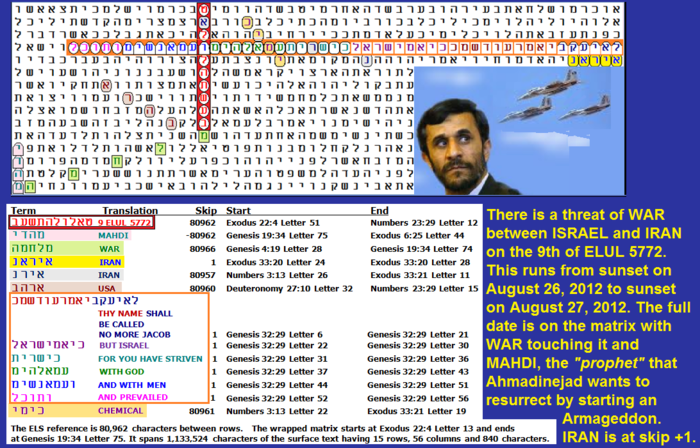 http://www.arkcode.com/custom3_52.html …………………with the date connected as 9 Elul 5772 [26 Aug-27 Aug sunsets]…………? LARRY TAYLOR ~ Looking closely at the Roffman research results I have to ask the question “Is this possibly a reference to a surprise pre-empt attack on Israel by Syria, Hezbollah & Gaza terror cells on or about August 26-27 this year 2012…???? ?” Just remember that we are not claiming ‘prophecy’ just research data! Interesting to say the least……….and THANKS to Barry Roffman for the work/research……..
HAGMANN & HAGMANN RADIO http://www.homelandsecurityus.com ~On August 14, 2012 evening Augusto Perez was guest on Hagmann 2-Hour program. This was incredible in scope as Augusto described coming events he had been shown & answered questions by the Hagmann team. http://www.homelandsecurityus.com/hagmann-hagmann-report-live ~ powerful program. Augusto Perez http://www.theappearance.com ………. GEORGE URE’S URBAN SURVIVAL http://urbansurvival.com/week.htm ~ Wednesday’s Blog: “Conspiracy Meds Arn’t Working!” [August 15, 2012] Movie 2012, Clif’s Work and Patrick Geryl’s work………! ISRAEL NEWS, HAARETZ http://www.haaretz.com ~ Israel’s Ambassador Michael Oren: “Israel’s Clock on Iran ‘Ticking Faster’ than Obama’s” ~ White House: There is time & space…! 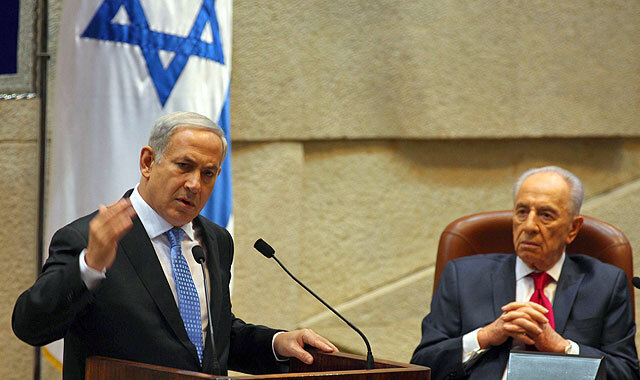 Netanyahu: Out of Time…! http://bit.ly/NefXei ………. YNETNEWS ISRAEL http://www.ynetnews.com ~ Iran General [August 15, 2012] ‘Israel Must Be Destroyed Now!………………. Thanks Larry! I just went to set a reminder for the Yellow Brick Road show and my monitor went nuts flashing and glitching……shut it down and went back with a prayer and I am set. I am taking that as a sign that the show will truly be a blessing that the dark side won’t want heard! Hallelujah! I have never had any problems connecting to Barry Roffman’s site until this posting. My browser (Firefox) said that Arkcode was an “attack site”. Had to go into the browser and tell it otherwise. Barry must be touching some raw nerves with TPTB. Wonder what Rabbi Glazerson has found within those two dates of Aug. 26 & 27 or what the watchmen on the wall are sensing or seeing? Augusto has stated recently that he was sensing a heaviness within his spirit that we may be facing another planned or other type of incident soon. Thank you all for your steadfastness in proclaiming the light of the truth even as this “ubiquitous” darkness descends. Been listening to all the recent interviews. Everyone should download and retain for reference in the event we can no longer access the web sites in the near future. I’m just getting shut down at every turn too. My home computer got hit with a costly malware so I’m without it at home and our corporate computers keep crashing, on a weekly basis! I think we’re really close and I’m so grateful for every moment I CAN get to my trusted sites to catch up. God bless and prosper the work of “THE BRIDE” as we wait in joyful hope for the soon coming of “THE BRIDEGROOM”! Huge thanks Larry for all your work informing us (who listen so intently). with the ” straight skinny ” every day. I lisltened to both Augusto programs you linked, and I will be able to hear the Larry-Augusto one tomorrow. In the interview with Thomas, Augusto hinted that Tabernacles was a time of being taken to a safe place, but last night with Hagmans he indicated we would suffer trib for a while before being taken to a safe place, which he calls harpazo rather than rapture. I felt more courage and calm after listening to him. He surely does not mince words. Sometimes I cannot understand those who say the average Christian is just lacadaisical, because I know just being a Christian at all takes courage, at this time. But he agrees with me that there are true Christians in all denominations, including the Catholic. Even if the Catholic hierarchy has some bad apples, there are nevertheless some true people among the priesthood and flock. In my life I have known more true people among Catholics than among Protestants, so that rings a bell with me. Hi Larry! The show with Dorothy was great but I had to skip Hawk to listen. I just thought maybe others had done the same thing and then found it hard on Quayle’s new and improved site to find the archives. It is tricky but I found that now you must click the “radio” button on the top, then click “shows” when it drops down and once you are on the radio page, instead of clicking the section that says “Hawk on Survive to Thrive” you must click the archives link in the Shatter the Darkness section…..then you get the archives list that we are used to. Hope this blesses folks……I wanna hear every show by every watchman! Larry last night’s show with Augusto, was the best interview I have ever heard in my life! It was chocked full of information, and so totally orchestrated by the Holy Spirit!!! also you must abosolutely hear the final 3 hour!!!!!!! I just saw the season finale of Falling Skies!!!! Wish I coulda been a fly on Larry’s wall! I can hardly wait to hear what you think about the end!